. Han JW, Ahn SH, Park SH, Wang SY, Bae GU, Seo DW, et al. 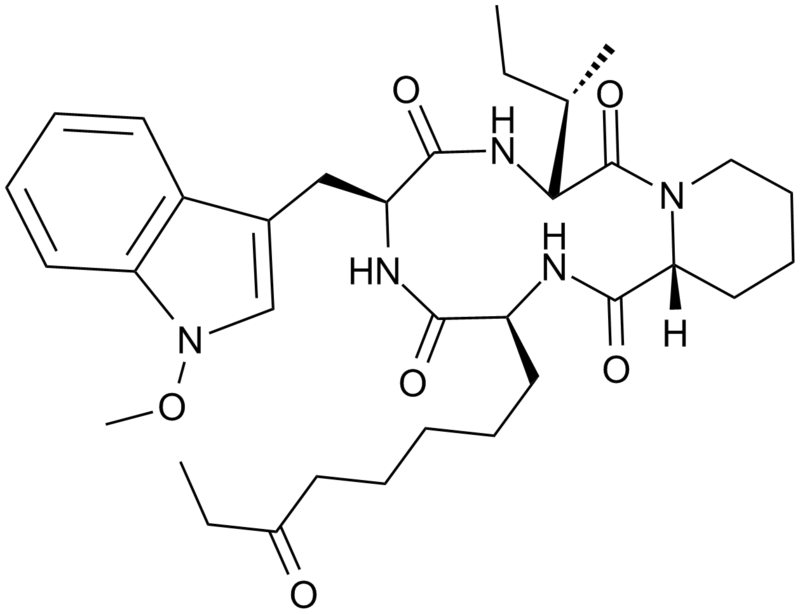 Apicidin, a histone deacetylase inhibitor, inhibits proliferation of tumor cells via induction of p21WAF1/Cip1 and gelsolin. Cancer Res 2000,60:6068-6074.
. Ahn MY, Chung HY, Choi WS, Lee BM, Yoon S, Kim HS. 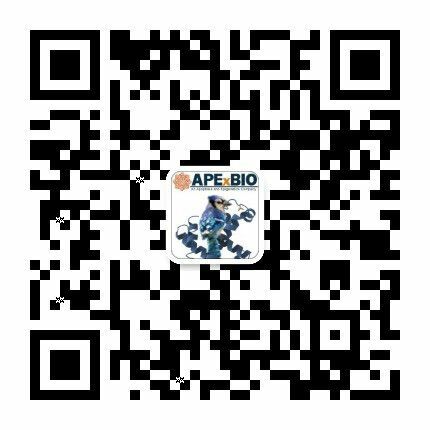 Anti-tumor effect of apicidin on Ishikawa human endometrial cancer cells both in vitro and in vivo by blocking histone deacetylase 3 and 4. Int J Oncol 2010,36:125-131. 1. Darkin-Rattray SJ, Gurnett AM, Myers RW, Dulski PM, Crumley TM, Allocco JJ, et al. 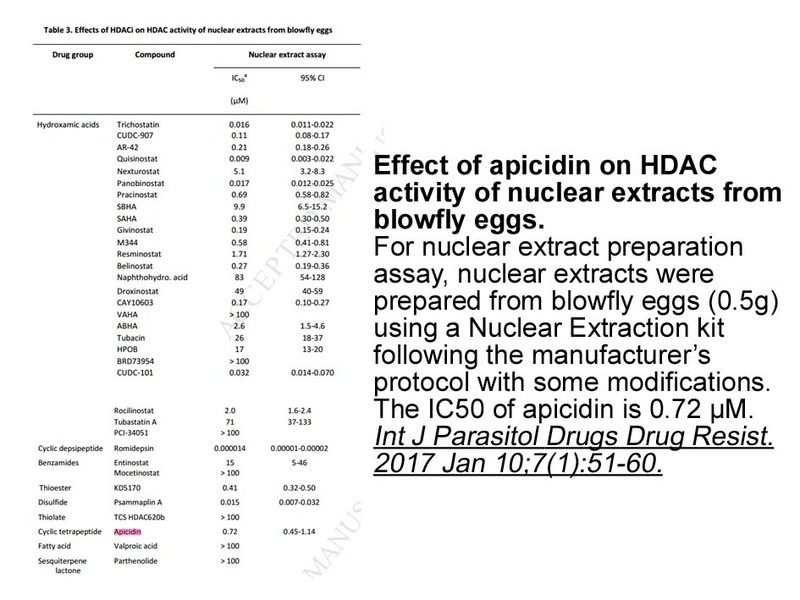 Apicidin: a novel antiprotozoal agent that inhibits parasite histone deacetylase. Proc Natl Acad Sci U S A 1996, 93:13143-13147. 2. Kim SH, Jeong JW, Park JA, Lee JW, Seo JH, Jung BK, et al. Regulation of the HIF-1alpha stability by histone deacetylases. Oncol Rep 2007, 17:647-651. 3. Han JW, Ahn SH, Park SH, Wang SY, Bae GU, Seo DW, et al. 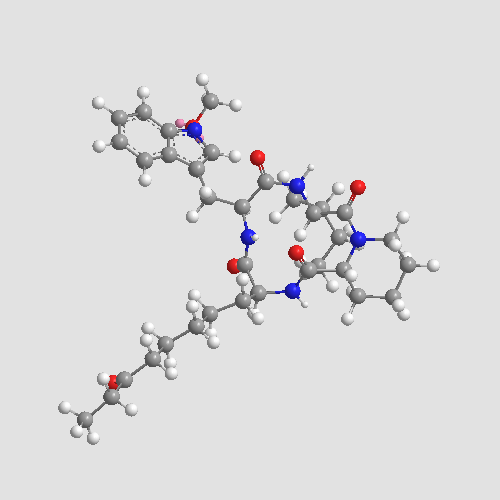 Apicidin, a histone deacetylase inhibitor, inhibits proliferation of tumor cells via induction of p21WAF1/Cip1 and gelsolin. Cancer Res 2000, 60:6068-6074. 4. Jones P, Altamura S, De Francesco R, Paz OG, Kinzel O, Mesiti G, et al. A novel series of potent and selective ketone histone deacetylase inhibitors with antitumor activity in vivo. J Med Chem 2008, 51:2350-2353. 5. Ahn MY, Chung HY, Choi WS, Lee BM, Yoon S, Kim HS. 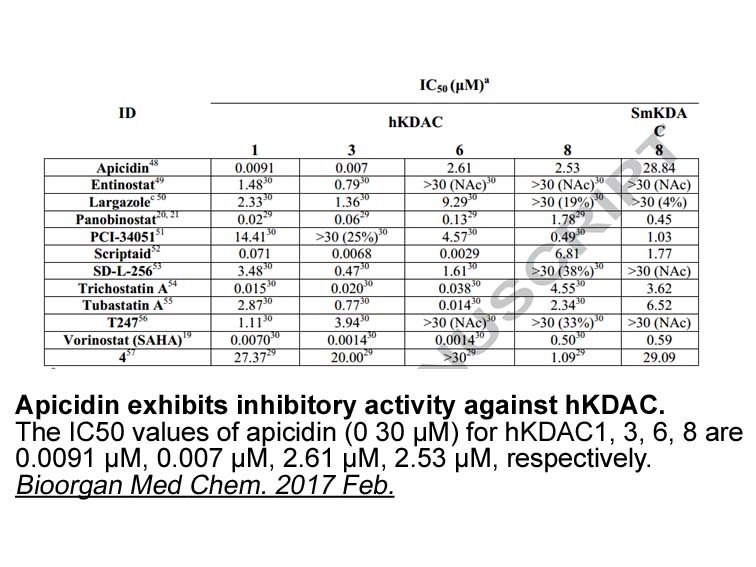 Anti-tumor effect of apicidin on Ishikawa human endometrial cancer cells both in vitro and in vivo by blocking histone deacetylase 3 and 4. Int J Oncol 2010, 36:125-131.